Temenos has partnered with South African third-party administrator, Curo Fund Services, to migrate 3,000 funds to its Multifonds Global Accounting platform. Through the deal, Curo will move the funds from its five legacy accounting platforms to Temenos. The agreement was struck following a “highly competitive process” according the banking software provider. “It was very clear to us that Temenos’ Multifonds Global Accounting platform was a best in class fund administration solution, well suited to the South African market, and would generate significant operational efficiencies,” said, Barri Maggott, CEO of Curo. In a statement, Temenos said the move will simplify Curo’s architecture and enabling more automated exception-based processing to increase efficiencies, reduce costs and open up new opportunities for growth. The platform will also support requirements specific to the South African market including tax and regulatory reporting, along with market specific requirements for asset classes such as bonds and swaps. 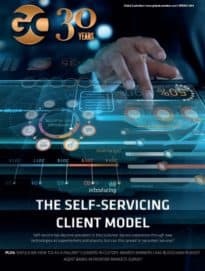 “Curo, like many fund administrators, are viewing their technology platform not just through the traditional lens of efficiency and cost, but the future opportunities it can create by helping them enter new markets, launch new and innovative services, and win new business,” said Oded Weiss, managing director of Temenos.